February seems far away now, and we are anxiously awaiting its arrival because not only will these two poets share fresh and innovative work, we also get to hang out at Kore Press‘s space! Thanks for cosponsoring this event, Kore! Webster will also teach a workshop while he is in town. Details on that to come! Poet and graphic designer Chaun Webster draws from an interest in the work of sign in graffiti, the layering of collage, and the visuality of text. These methods are used in Webster’s work to investigate race – specifically the instability of blackness and black subjectivities, geography, memory, and the body. Correspondingly much of these investigations engage the question of absence, how to archive what is missing from the landscape particularly as a number of communities watch in real time, neighborhoods once populated with familiar presences, dissolve in the vernacular of redevelopment and its attendant colonial logic. Webster’s debut book, GeNtry!fication: or the scene of the crime, was published by Noemi Press April 2018. Enrique García Naranjo (also known as Q) is a poet, DJ & teaching artist from Tucson, Arizona. They are a staff member of Spoken Futures INC , a youth-centered arts & community engagement organization based in Tucson ; they are a resident DJ for El Tambó , a tropical dance party held at the Historic Hotel Congress; & they are a founding member of Ojalá Systems , a collective of artists & creators working to secure liberator & radical empowerment for marginalized young artists. Q’s work is centered on Frontera identity & the language of resistance. In 2017, they published a zine of poetry, These Colliding Things, through Ojalá Zine Press. Q’s work has been published by & included in the Los Angeles Times, The Acentos Review, The New Engagement, Cunjuh Magazine & more. Between reading, performing and teaching, Q can be found crate digging for vinyl & spinning at a house party. Join Kore Press for a reading, conversation, and potluck with visiting fiction writers Natalia Treviño, from Texas, and Leticia Del Toro, from California. Suggested donation of $5, no one turned away for lack of funds. Natalia Treviño was born in Mexico and raised in Texas, and is the author of Lavando La Dirty Laundry and the new chapbook VirginX. She is an Advisory Board member of Macondo and professor at Northwest Vista College in San Antonio. Leticia Del Toro is a California writer, arts activist and teacher with roots in Jalisco, Mexico. Her work has appeared in Zyzzyva, Huizache, Mutha Magazine and Southwestern American Literature among others. Her awards include the Kore Press Short Fiction Award, a Hedgebrook Residency for Women Authoring Change and a Rona Jaffe Scholar Award to Bread Loaf. Leticia is a VONA Voices fellow. She has completed a short story collection and is working on a novel. 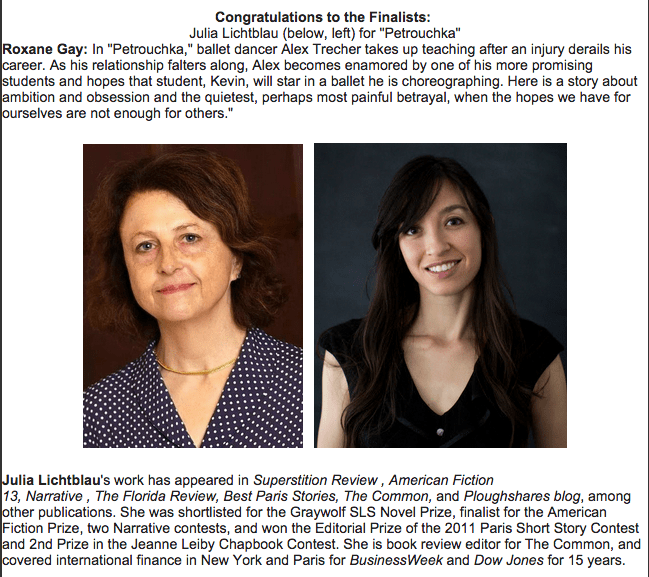 Congratulations to SR Contributor Julia Lichtblau for being named a finalist for the Kore Press 2015 Short Fiction Award judged by Roxane Gay. Read her piece Mi Brooklyn in Issue 15 of Superstition Review.